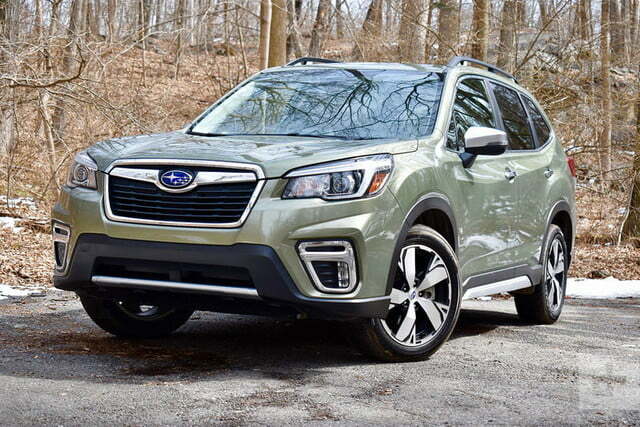 The 2019 Subaru Forester offers plenty of space and tech for the money. The Subaru Forester was one of the original crossover utility vehicles, and a lot has changed since its launch 23 years ago. Like the original, the 2019 Forester looks like the box it came in. But that box is now much bigger, and the Forester faces more competition from an armada of vehicles fielded by nearly every major automaker. 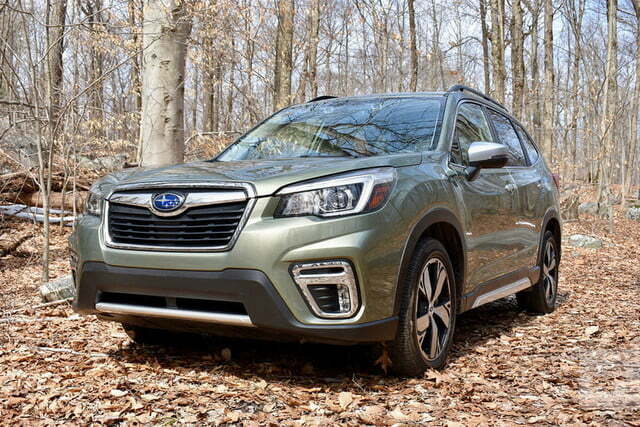 Subaru gave the Forester a full redesign for the 2019 model year, so it’s one of the freshest vehicles in its segment. But are a new design and a familiar name enough to keep Subaru in the game? We spent a week with a 2019 Forester to find out. The 2019 Subaru Forester is available in five trim levels: base, Premium, Sport, Limited, and Touring. The base model starts at $25,270, but our test car was a top-spec Touring model, which carries a base price of $35,270 (both figures include a mandatory $975 destination charge). That netted upgrades like leather upholstery, Harman Kardon audio system, and DriverFocus, which uses a driver-facing camera to monitor for distraction or fatigue. The 2019 Forester is the latest model to use the Subaru Global Platform, which also underpins the Impreza and the Crosstrek, as well as the larger Ascent crossover. It will also be found under the new 2020 Legacy sedan, and under the next-generation Outback. 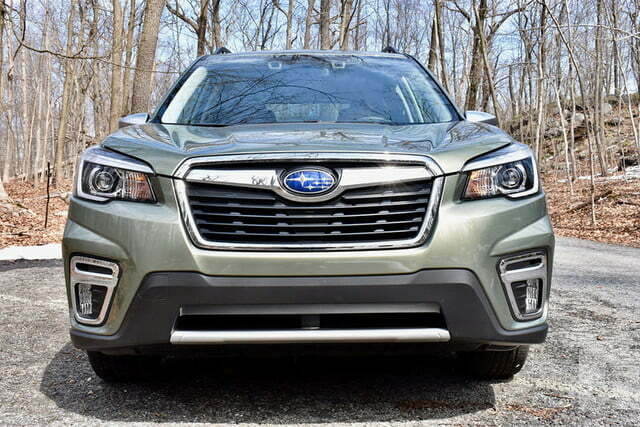 We’ve been impressed by every Subaru model based on this platform so far, meaning the Forester had a lot to live up to. Given the amount of changes under its skin, the new Forester doesn’t look dramatically different from its predecessor. That’s not necessarily a bad thing: it isn’t a bad looking car, and it has the traditional SUV look many buyers want. The boxy shape also benefits driver and passengers. The amount of glass afforded by the tall roof and upright pillars create an airy feel on the inside (our test car’s optional moon roof also helped with that) and yields excellent outward visibility. The amount of glass afforded by the tall roof and upright pillars create an airy feel. A feeling of spaciousness wasn’t the only appealing thing about the interior. Subaru did a good job of making our Touring test car feel worthy of its $35,270 base price. 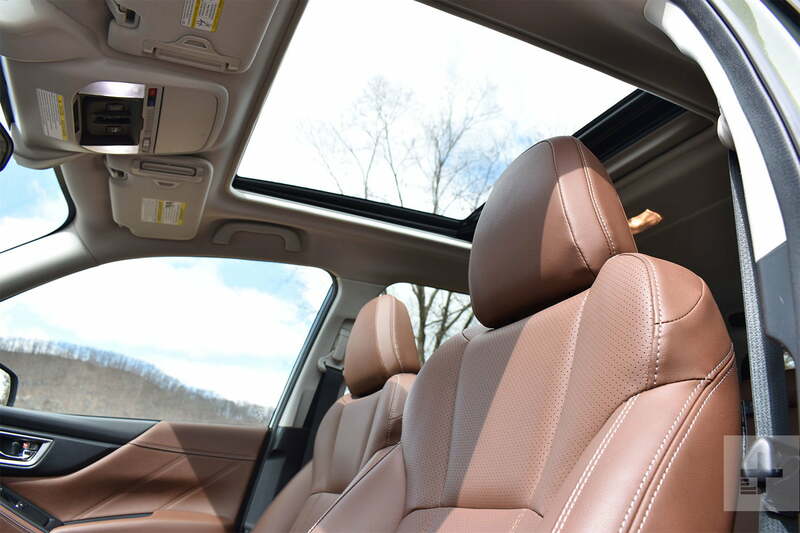 The leather-lined interior (with heated front and rear seats and a heated steering wheel) felt reasonably upscale, but also sturdy enough to deal with the kind of abuse a family-oriented vehicle like the Forester typically encounters in everyday use. Passenger volume is among the highest in the segment, although the Honda CR-V offers a smidge more space for rear-seat passengers. 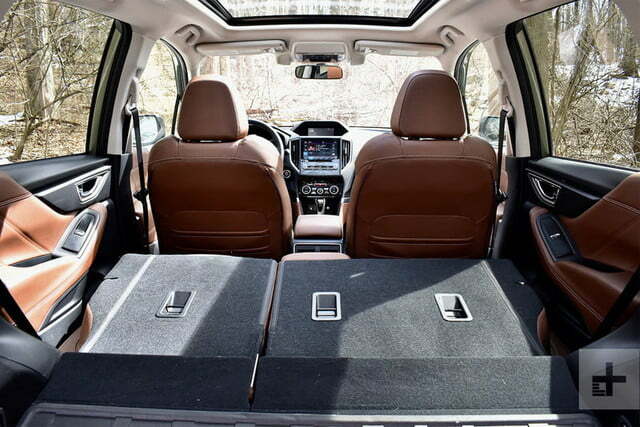 The Honda has more cargo space as well, and the Forester lacks the sliding second-row bench seat of the Nissan Rogue. 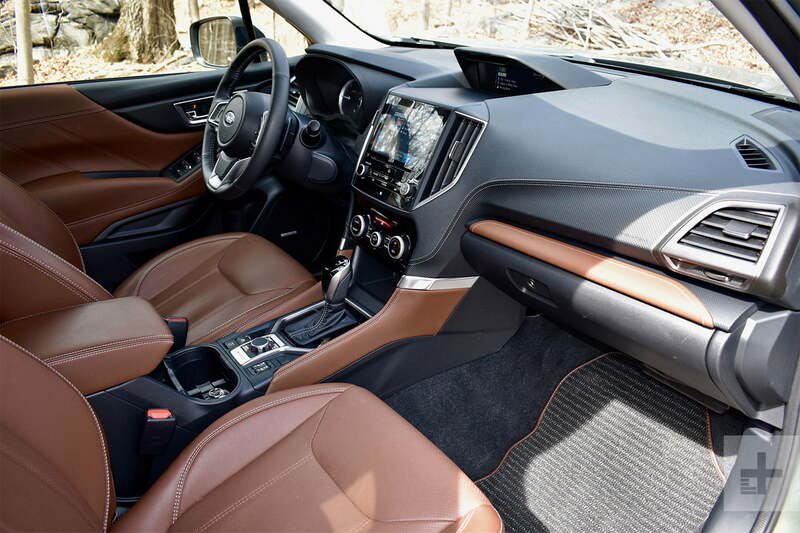 However, the Subaru still offers more cargo space than most other competitors, and a wide aperture for loading items (Subaru claims you can fit a golf bag into the cargo hold sideways). 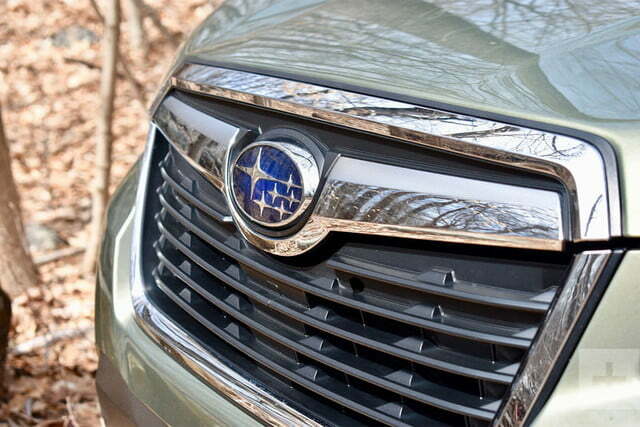 The Forester is the first vehicle to get Subaru’s DriverFocus technology. Currently available only on the Touring model, the system uses a camera mounted on the dashboard and facial recognition software to check for signs of driver distraction or fatigue, and it provides audio and visual alerts to rouse the driver. It can also remember up to five individual drivers and save preferences like seat and mirror positions, or climate control settings. Subaru is the first non-luxury brand to use a camera to monitor the driver. 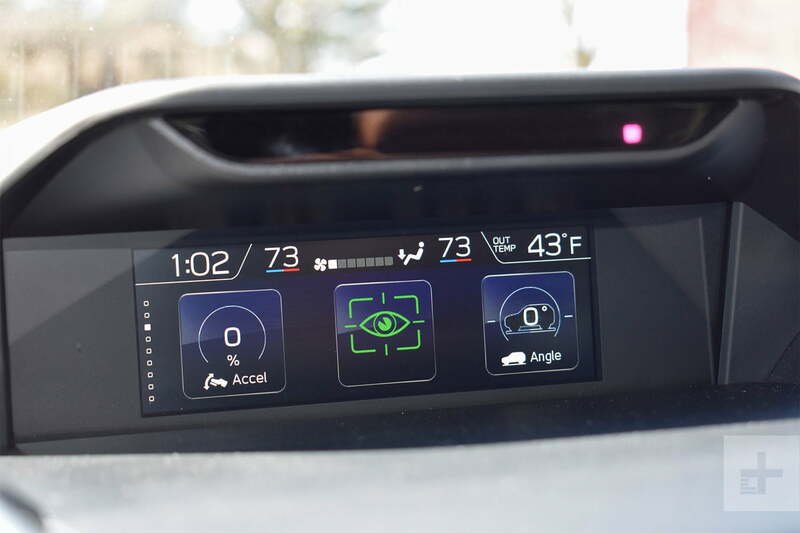 It may sound a bit creepy, but systems like this may become necessary to ensure drivers pay attention, even as automakers add infotainment features and driver-assist systems that invite them to do the opposite. We found DriverFocus unobtrusive. The system’s alerts were only triggered after looking away from the road for a long period of time, long enough to make any human passenger start anxiously gripping their armrest. If you don’t like the idea of having a camera pointed at you while you drive, you could always just pay attention in the first place. All Forester trim levels come standard with Subaru’s EyeSight driver-assist system, which uses cameras mounted by the rearview mirror (and pointing outside the car, this time) to enable features like adaptive cruise control, lane-keeping assist, and autonomous emergency braking. The adaptive cruise control worked well, with smooth acceleration and deceleration and quick reactions to other cars. But we felt the lane-keeping assist waited too long to intervene. Subaru did a good job of making our Touring test car feel worthy of its $35,270 base price. 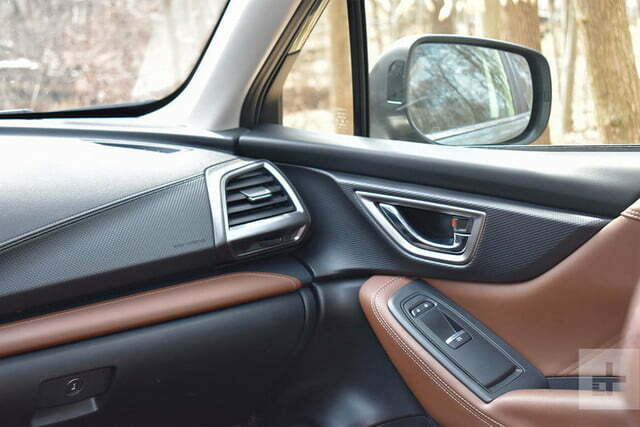 The StarLink infotainment system is familiar from other recent Subaru models, but we noticed some new issues with the Forester. We liked how the system displays information, including navigation directions, the current radio station, or the status of the EyeSight system in a pod on top of the dashboard, very close to the driver’s line of sight. But the main 8.0-inch touchscreen (lower trim levels get a 6.5-inch screen), often washed out in sunlight, and was slow to boot up when starting the car. Sound quality from the nine-speaker Harman Kardon audio system was also subpar. 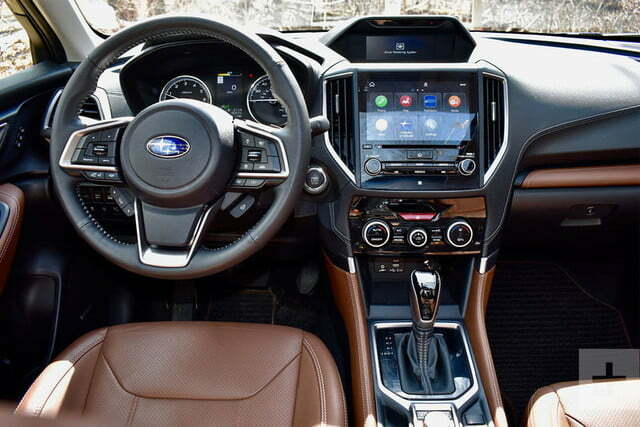 At least Subaru offers standard Apple CarPlay and Android Auto connectivity with a built-in Wi-Fi hotspot available as well. 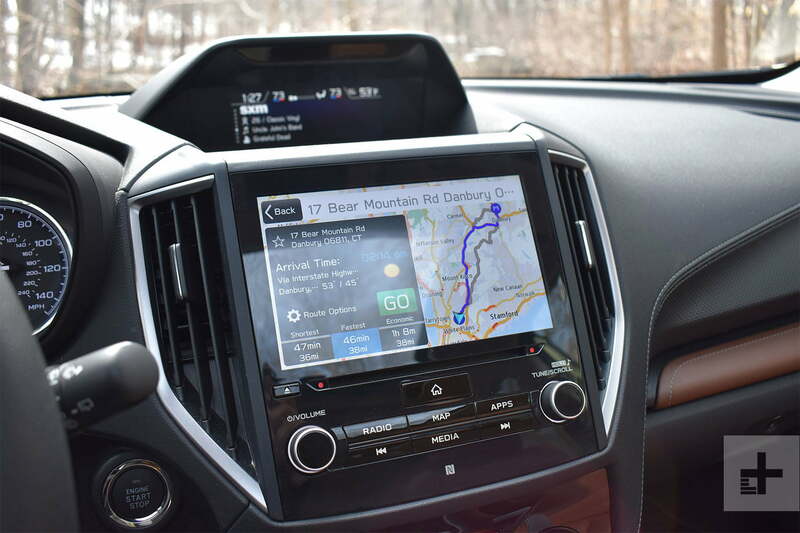 Honda’s CR-V is compatible with both, but the Toyota RAV4 still resists Android Auto. Typically for Subaru, the Forester boasts a “boxer” flat-fouro engine, which yields a lower center of gravity meant to improve handling. The 2.5-liter four-cylinder engine produces 182 horsepower and 176 pound-feet of torque. 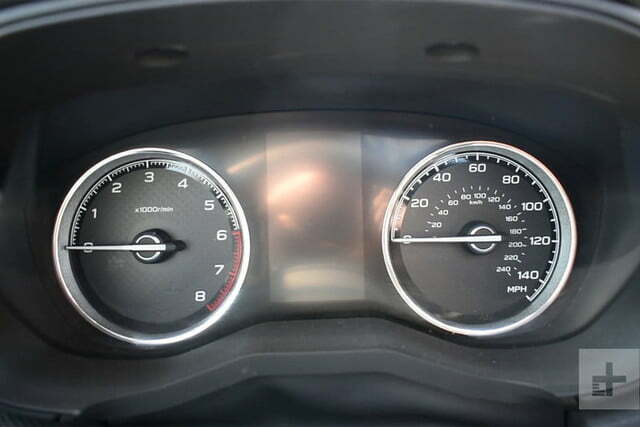 Those are respectable numbers for this segment, but some competitors offer more powerful engines as options. 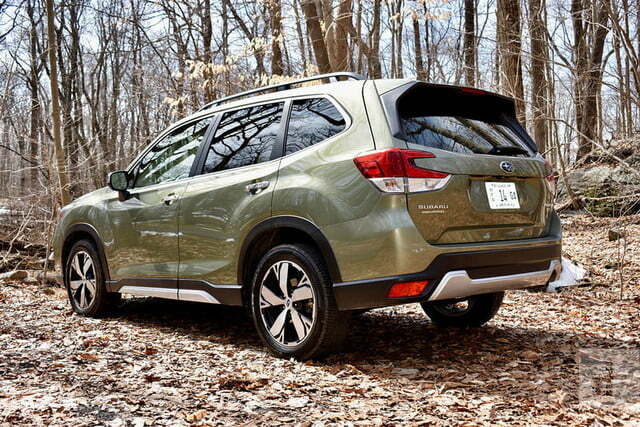 However, the Forester is the only vehicle in its competitive set to offer standard all-wheel drive. 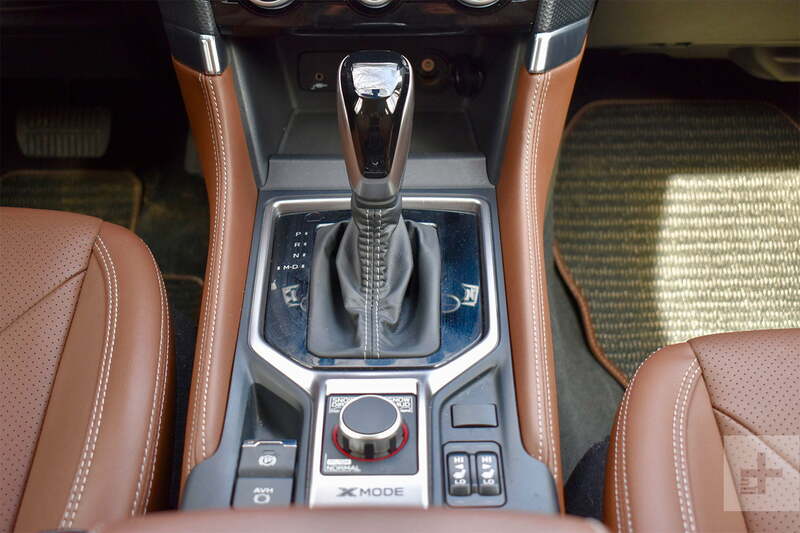 A continuously variable transmission (CVT) is the only gearbox option. From behind the wheel, the engine’s power felt adequate, but that’s all. We never felt like a liability in traffic, but we really had to thrash the boxer-four to merge and overtake. That was reflected in average fuel economy of 24 mpg, according to the car’s trip computer, compared to the official EPA rating of 29 mpg combined (26 mpg city, 33 mpg highway). That’s fairly good for this segment, but it’s also irrelevant if it can’t be achieved in the real world. 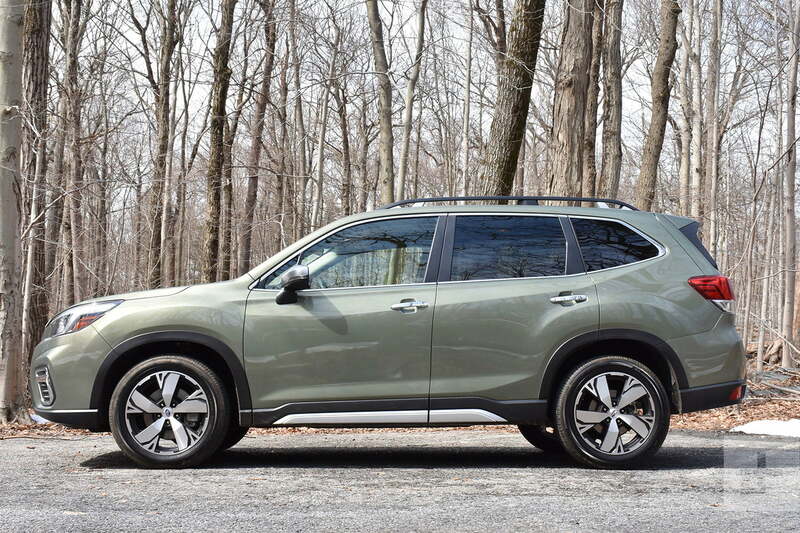 While the Forester does feature an engine start-stop system (which we left engaged for the entirety of our drive), the Nissan Rogue and Toyota RAV4 also offer hybrid powertrain options. The suspension is completely aloof, allowing the Forester to bounce along like a 1970s American land yacht. The Forester was never meant to be a sports car, but given how entertaining the larger Ascent was to drive, we were hoping for a bit more excitement. The suspension is completely aloof, allowing the Forester to bounce along like a 1970s American land yacht, but without the cushy ride: the suspension wasn’t particularly good at dealing with bumps either. 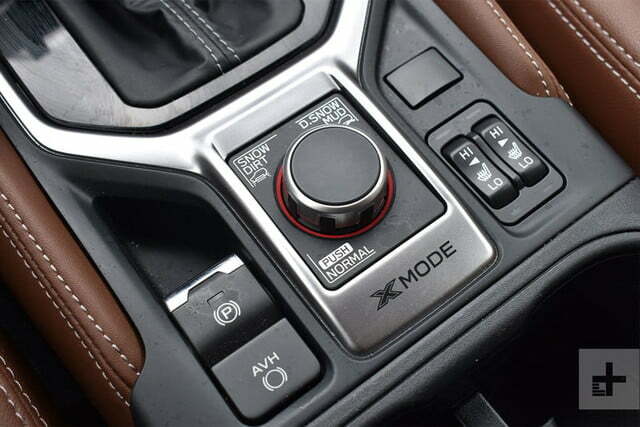 Toggling drive modes from “Intelligent” to “Sport” didn’t help matters. However, the steering was fairly precise. Off-roading isn’t normally a priority for compact crossovers, either, but Subaru made some effort to equip the Forester for the rough stuff. The Forester has a respectable 8.7 inches of ground clearance, and our Touring model was equipped with an “X-Mode” that tunes various vehicle parameters for non-paved surfaces (including “Snow/Dirt” and “Deep Snow/Mud” modes) and adds hill descent control. But if off-roading is a priority, you’re better off with a Jeep Cherokee Trailhawk. The Forester’s rivals are legion, as it competes in one of the most popular vehicle segments. We’ve highlighted some of its top competitors. Honda CR-V (base price: $25,395): The CR-V is arguably the Forester’s main rival. Like the Forester, the CR-V has been around for a long time, and today it sets the standard in the segment. A roomy interior, impressive driving dynamics, and standard Honda Sensing driver-assist tech helped the CR-V achieve that status. Kia Sportage (base price: $24,795): The Kia Sportage and its Hyundai Tucson sibling offer the best warranty in the segment, but the Kia is nicer to drive than both the Hyundai and the Forester. However, it lags behind the Subaru in standard driver-assist tech and interior space. Mazda CX-5 (base price: $25,395): The CX-5 is the car enthusiast’s compact crossover. It’s as nice to drive as it is to look at. However, the interior isn’t as spacious or well appointed as the Forester’s. Nissan Rogue (base price: $25,965): The Rogue is a bestseller, and it offers some features Subaru can’t match. The second-row seat slides to make room for more cargo, and Nissan’s ProPilot Assist system can automatically center the car in its lane on well-marked highways. But the Forester offers a more powerful standard engine, and a more spacious interior that also feels like a more pleasant place to be. Toyota RAV4 (base price: $26,595): Recently redesigned like the Forester, the RAV4 is another crossover bestseller. Toyota took more of a risk with exterior styling, but the Forester’s interior is more inviting than the cheap-looking RAV4 cabin. The Subaru offers more passenger and cargo space as well, but Toyota offers a more powerful standard engine plus an optional hybrid powertrain. 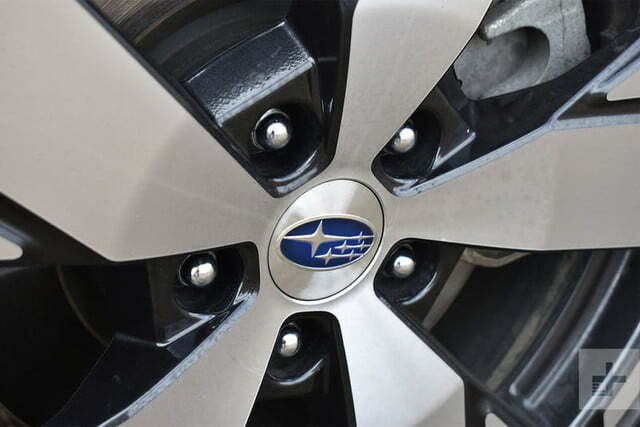 Subaru offers a three-year, 36,000-mile, basic warranty and a five-year, 60,000-mile, powertrain warranty. That’s about average in this segment, although Hyundai and Kia offer longer warranty terms. Because the Forester is new for 2019, it is difficult to predict future reliability. However, the previous-generation Forester has a fairly good reputation for reliability, as does the Subaru brand as a whole. The 2019 Forester received a Top Safety Pick rating from the Insurance Institute for Highway Safety (IIHS), achieving the top score of “good” in all crash tests, but only “average” in the headlight category. The Forester also received a five-star overall rating from the National Highway Traffic Safety Administration (NHTSA). 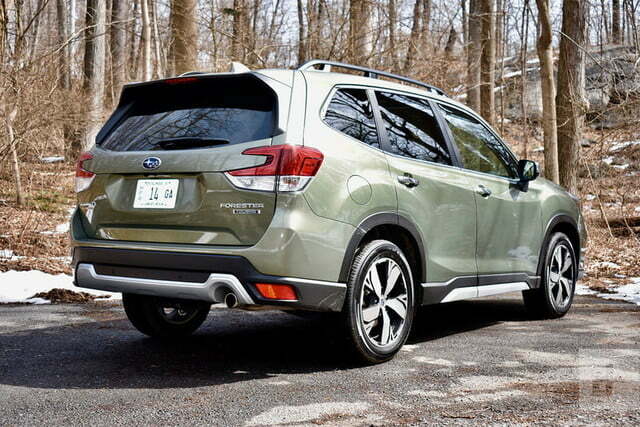 We would choose a Forester Touring model like our test car. It may be a $10,000 jump up from the base trim level, but you get a lot for your money. 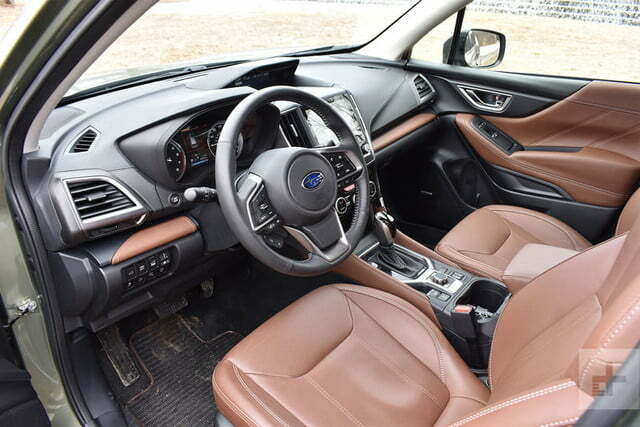 For $35,270, the Touring gets leather upholstery, a power liftgate, the top-spec audio system, and Subaru’s full array of driver aids, including the DriverFocus monitoring system. We can’t think of anything we’d want in a compact crossover that isn’t included in the Touring (except the more powerful engine Subaru refuses to offer). We would even choose the same color combination as our test car: Jasper Green exterior with Saddle Brown leather interior. 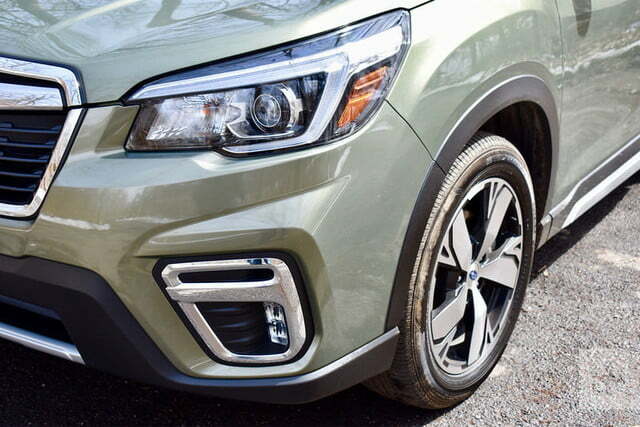 The 2019 Subaru Forester isn’t very exciting to drive or look at, but Subaru’s evergreen crossover excels where it counts. A spacious and well-appointed interior, segment-first DriverFocus tech, and solid crash-test scores make the Forester a sensible choice for crossover shoppers. Yes. While it faces stiff competition from the likes of the Honda CR-V, Toyota RAV4, and Mazda CX-5, the Forester remains one the best compact crossovers.